Answer: All native reptiles and amphibians are protected under California Fish and Game laws and may not be taken except as authorized by those laws. The laws do not include take for the purposes you describe. But, a limited version of the business may legally be conducted under the Freshwater Sport Fishing Regulations (www.dfg.ca.gov/regulations/FreshFish-Mar2011/). 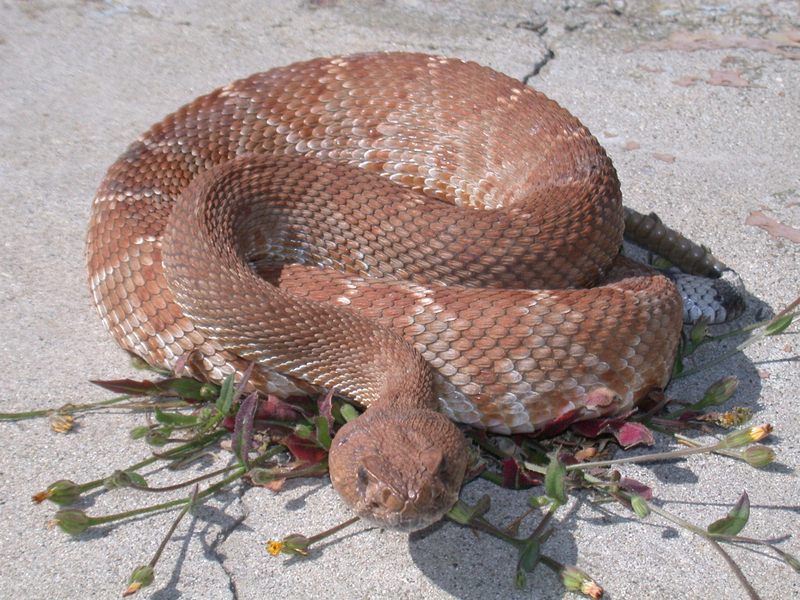 According to retired Department of Fish and Game (DFG) Captain Phil Nelms, some species, including rattlesnakes, may be taken under the authority of the regulations. Under the provisions of these regulations, any person with a current sport fishing license may take the number of snakes provided as the “bag limit” for that species each day (California Code of Regulations Title 14, section 5.60). However, if you are taking rattlesnakes only, no fishing license is required and the bag limit is two rattlesnakes per day. Additional regulations protect native reptiles and amphibians taken from the wild, as well as those held in captivity, from being sold or released back into the wild. Live snakes that are immediately released in the area where taken are not considered to be captive (CCR Title 14, section 40). It is permissible to conduct a snake removal business as long as you operate within the parameters of these sport fishing laws. You may also need to have a local business license. Answer: Federal Duck Stamps are administered by the U.S. Fish and Wildlife Service and are available at U.S. Post Offices, some license agents and online at https://shop.usps.com/, but not from DFG. The California Duck Validation (no longer called a stamp) may be purchased now online at www.dfg.ca.gov/licensing/ols/, in person at any DFG license sales office (a list of which can be found at www.dfg.ca.gov/licensing/officelocation.html) or from any license agent (http://dfginternal5.dfg.ca.gov/lasweb/), where validations can be purchased at the same license terminal as the hunting license. Although they are no longer required, the physical stamps are still produced for collectors’ purposes. If you purchase the California Duck Validation and still want to receive an actual stamp, you must request it online. Please read how to do that here: www.dfg.ca.gov/licensing/collectorstamps/. Using multiple hooks and rods outside the Golden Gate? Answer: If you are outside of the San Francisco Bay and fishing from shore for halibut and striped bass, you can use as many rods and hooks as you want. However, if you catch a species like salmon or rockfish, you will have to release it as only one line may be used to take these species (California Code of Regulations Title 14, section 28.65). Are AR-15s legal for big game hunting? Answer: AR-15 rifles that are legal to possess in California are legal to use for hunting as long as the ammunition being used is legal for the area and species being hunted. This entry was posted in Firearms/Ammunition, Hunting, Licensing/Permits/Stamps/Report Cards, Methods Of Take, Nuisance Animals & Pests, Regulations, Saltwater Fishing, Tackle, Waterfowl and tagged ammunition, big game hunting, firearms, fishing, fishing tackle, Licenses, ocean fishing, regulations, reptile collecting, reptiles, waterfowl. Bookmark the permalink. The snake question posted Dec. 1, 2011 may need more clarification. When someone says “rescued” there is the potential that the snake may come from captivity such as a pet store or personal pet to be released back into the wild. Unfortunately this is becoming more common to release “rescued” animals as even this forum has had more questions on this subject recently. The damage to native species with this practice thinking they are doing the right thing far out ways the actual rescue.